Overview… a single mother of two girls living in Pawnee, Indiana. 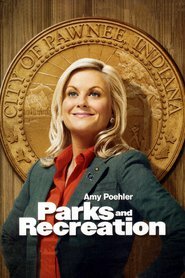 When she calls the Parks and Recreation department to fix a pothole in front of her house, the department’s director Ron Swanson arrives to fix it himself. They begin a relationship only after the “man’s man” Ron comes to terms with the frivolity that her princess-loving daughters bring into the mix. Personality… strong, responsible, and patient. Her sense of humor and dedication to her family help to soften Ron a little as they see more and more of each other. Diane’s desire for a simpler, no-drama life turns out to make her a perfect match for Ron. Diane Lewis's popularity ranking on CharacTour is #2300 out of 5,000+ characters. See our top-ranked characters and read their profiles.